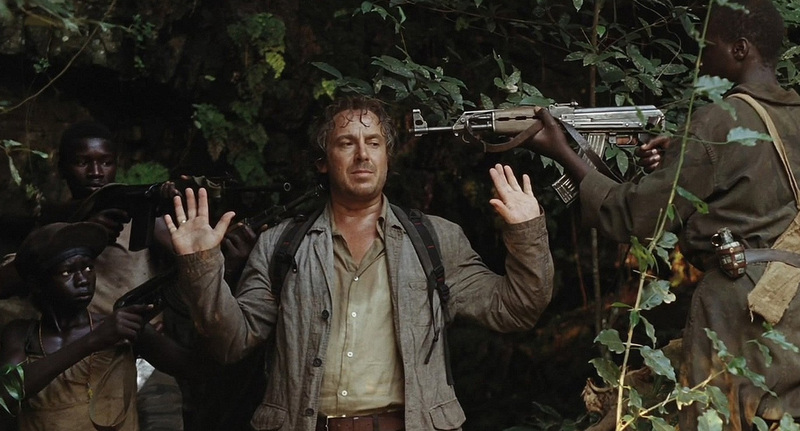 Eduard Zuiderwijk (Marco Borsato) runs a restaurant in Africa. When his wife (Ricky Koole) suddenly dies, he is left to take care of his son Thomas (Siebe Schoneveld) on his own. When his son’s best friend Abu (Andrew Kintu) is abducted by a rebel leader to be trained as a child soldier, Eduard goes in pursuit to save the boy and regain his son’s respect. VFX Files contributed more than 200 shots to the film, ranging from simple “civilisation removal” – removing roads, houses, etc – to more complex pieces involving explosions and limb removal. VFX supervisor Jeremy Hattingh steered the shots from concept to shoot to completion in November 2008. The project benefitted from a tightly-integrated post-production pipeline supervised by Producer Richard Claus, in which a small post facility was assembled combining production, editorial and VFX. The close association enabled much quicker turnaround of VFX “questions”, with the VFX accessing HD offline editorial material directly.